Siding & Windows Group is proud to be a siding contractor that’s part of the Libertyville IL community, and we’re committed to offering only the highest quality siding materials coupled with exceptional customer service and professional installation to its residents. If you are searching for a siding contractor in Libertyville with a proven track record, look no further than Siding and Windows Group. We are a professional siding contractor that believes Libertyville homeowners deserve exceptional siding products together with exceptional installation and service! 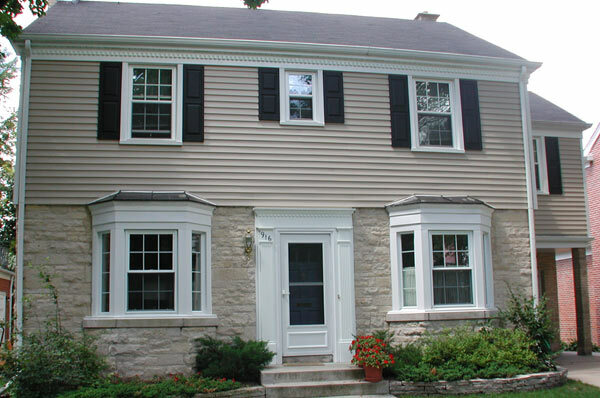 We have expertly installation beautiful siding and windows on hundreds of home’s surrounding the Libertyville area. Siding & Windows Group is proud to provide their customers with the best siding in the industry. James Hardie siding is perfect for any siding project that you need. With the highest quality of materials, James Hardie siding is built to last with their authentic design, ColorPlus Technology, performance and durability. 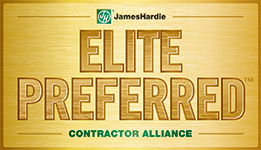 As a recognized leader in siding products, Siding & Windows Group provides the highest level of experience installing siding, that is why they are recognized as a James Hardie Elite Preferred Contractor. As a Preferred Contractor, Siding & Windows Groups guarantees you with siding with the ability to endure the elements, including wind, rain, snow, ice and sun. Mastic – For over 70 years, Mastic siding has pioneered complete exterior solutions that offer reliability, craftsmanship and styles to beautify any home. Above is the ‘After’ photograph of a siding remodel we did near Libertyville. Siding & Windows Group installed beautiful siding and trim by James Hardie, a leading fiber cement siding brand. Fiber cement siding is rated the best Return on Investment for remodeling projects! Siding & Windows Group is the premier siding contractor for Libertyville and we are known as a leader in the siding industry for originality, innovation, and architectural integrity for exterior design. Choose the best! Siding & Windows Group, is proud to offer superior siding products in Libertyville, including James Hardie fiber-cement siding. Click to learn more about the benefits of this top-quality siding product. Click here to receive a free estimate from Siding & Widows Group for your Libertyville siding remodel! We’ll come out to your home and give you a free, consultation on your remodeling project including a no-obligation quote. To view more siding testimonials from happy homeowners in Libertyville and other Chicagoland areas, click here.